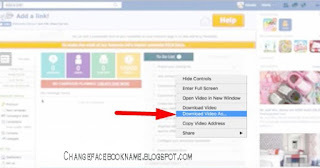 Save Facebook Videos to Phone: There are thousands of videos being uploaded on Facebook on a daily basis by Facebook users all over the surface of the earth, these videos can be viewed or watched by anyone connected with internet but Facebook has restricted users from downloading such video into their different gadget in order to view it while offline. 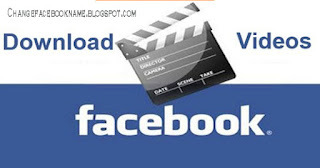 But over the years, Facebook users has developed different tricks to download Facebook videos which include; searching the video on Google, using plug-ins and so on, these tricks are sometimes time wasting and money consuming because it might require you to pay a certain amount before it can be downloaded. This article treats a totally different method of downloading Facebook videos, free of charge and without using plug-ins. Step one: copy the link of the video you wish to download from Facebook, maybe you copied "https://www.facebook.com/add.a.link/videos/437874247837887/"
Step two: paste the link you copied into a new web page, then change 'www.' to 'm.' i.e. "https://m.facebook.com/add.a.link/videos/437874247837887/" then enter. Step four: during the process of playing the video, long press or right click on any space within the video. Step five: now from the selection displayed, select "download video as", then you will have to choose a location or file you want it to download into and then finally, press okay and the downloading will start up immediately.